Most students that start at Lovett are not yet ready for grade level standards, so grading them based on these standards does not make sense. Teachers recognized that these grades were not a true reflection of students’ progress, as students who were working extremely hard were still getting C’s, D’s, and F’s. In order to have report cards be a true reflection of student progress, Lovett modified its grading to be based on students’ skill levels. As part of the grading modifications, Lovett created “multi-gen” report cards that better reflect student growth. A 5th grader, for example, may be working at a 3rd grade level, so his or her report card would reflect the progress they are making on 3rd grade skills (since 5th grade progress would be minimal). This new type of report card provides more clarity to parents and students about where they are in their learning trajectory. Working below grade level can be a bit of a social challenge for some students. Lovett diminishes this challenge some by helping students understand that they are all on similar learning paths, but just in different places. 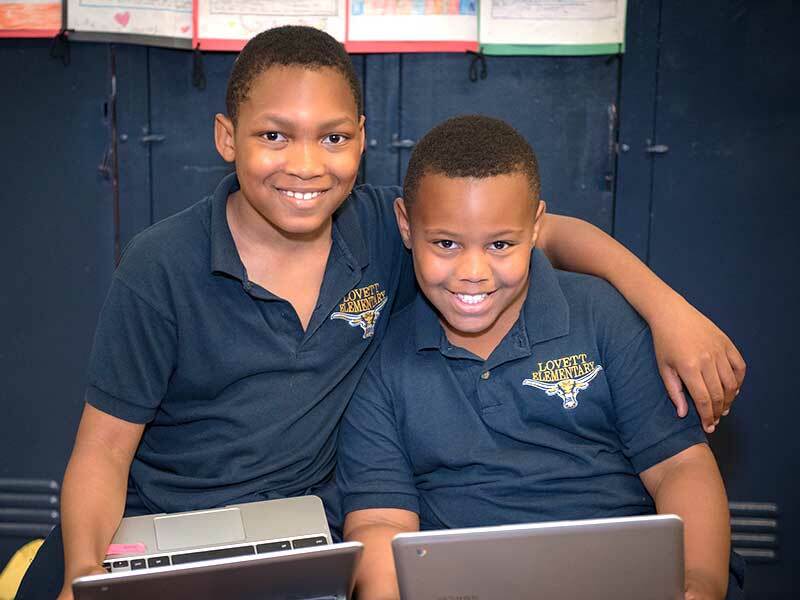 Lovett teachers also always introduce grade-level content at the beginning of the week so every student has some exposure, while providing modifications for students below grade level throughout the rest of the week.